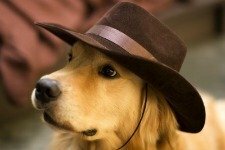 Golden Retrievers, a complete guide for tender, loving care. Golden Retrievers...so many shades, so little time! Big, beautiful, and with a personality like no other! 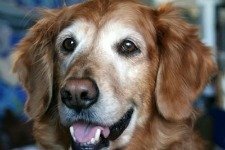 A Golden Retriever will smile, share their drinks with you, and they love to welcome anyone into "their" home. Even if it happens to be a thief...they'll gladly entertain him, and give him a tour of your whole house! 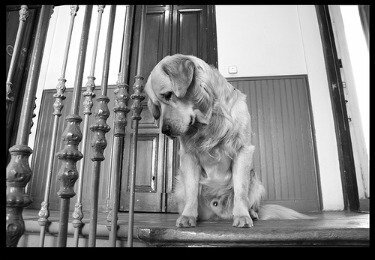 Yes, a Goldens' job is to make sure everyone leaves your home with a good feeling inside! And if they happen to also leave with your money, jewelry, or TV set, you can bet that your Golden Retriever is content and proud, knowing that he did a good job of representing this loving and gentle group of dogs! Goldens are addictive. They steal your heart, and it is so very hard to only own one of them. I should know, I currently am the proud owner of 7! They all live in my house with me! I have raised some from birth, bought some as young puppies, obtained some already grown, and I also breed them. No, I will not be selling any of my retriever puppies on this site. I just want to share my experience, love, and knowledge with you. Questions about your Golden Retriever? 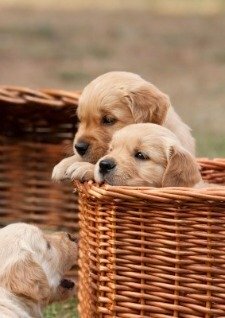 Maybe you've just purchased a new retriever pup and are seeking advice and information on basic puppy training and proper puppy care. Trying to decide whether or not to crate train and worrying if housebreaking can actually be accomplished? And what about those sharp baby teeth that seem ready, willing, and able to take off a limb? Considering adopting an older Goldie and wondering if she will adjust to your home? What if you bring home another dog, how will your older, established one react to a new house member? Wondering about breeding your dogs and what is involved in the process from beginning to end? What if something goes wrong during delivery? What if the momma has no milk and you have to bottle feed? Or, maybe you just love this magnificent breed and want to learn more about them and look at adorable pictures? Well, sit and stay awhile, as we explore all the various aspects, ins and outs, ups and downs, and adoration of this outstanding class of dog!